Two days ago Baba Ramdev declared that all Congressites are gay. 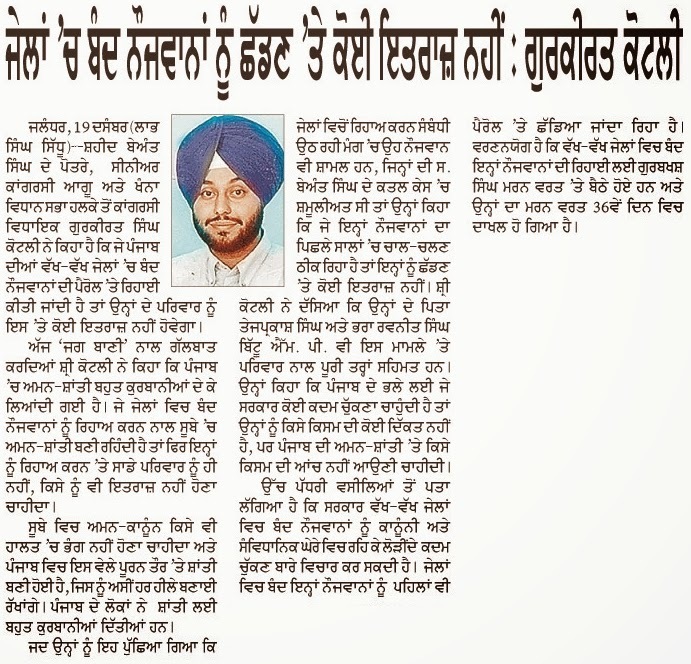 We endorsed his statement giving proof how the Congress political leaders of Punjab are indifferent to the current issues of Punjab. They have no courage to call spade a spade. The issue is release of such prisoners who have completed their sentences in jails. The gay congressites felt that a section of Punjab society might be displeased with their release as such they remained mum all these days. 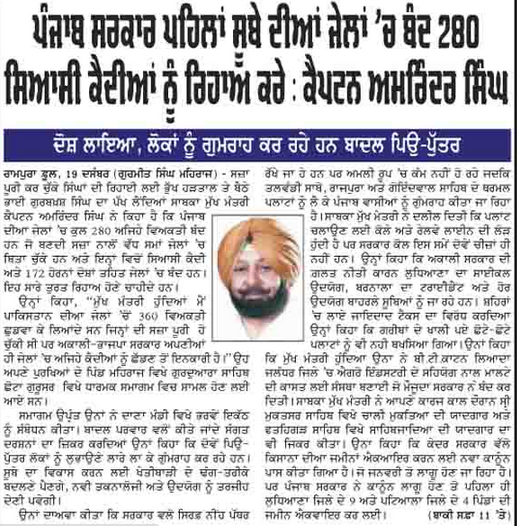 However this LION OF PUNJAB gave a bold statement on the release of such prisoners. Former Pradesh Congress chief Capt Amarinder Singh today asked Chief Minister Parkash Singh Badal and Deputy Chief Minister Sukhbir Singh Badal to release Sikh detainees lodged in Punjab jails. Talking to the media after addressing an impressive gathering in his ancestral village here this afternoon, he claimed that 108 such detainees were lodged in the state jails. He said he would do his bit to ensure the release of these detainees. 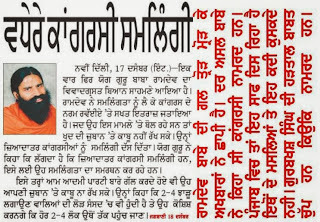 “The Badals have supported Gurbaksh Singh’s demand for the release of Sikh detainees. The CM’s son holds the Home portfolio, yet he has done nothing to see these detainees in state jails are freed,” he said. 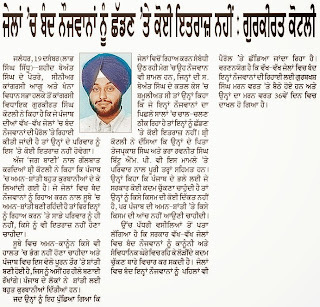 On an alliance with Manpreet Badal-led People’s Party of Punjab, he said Manpreet was media’s creation and the Congress did not need his support. He claimed the state Congress stood united and would win the coming Lok Sabha elections. 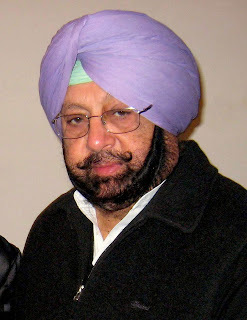 Amarinder Singh was in the village for a bhog ceremony. 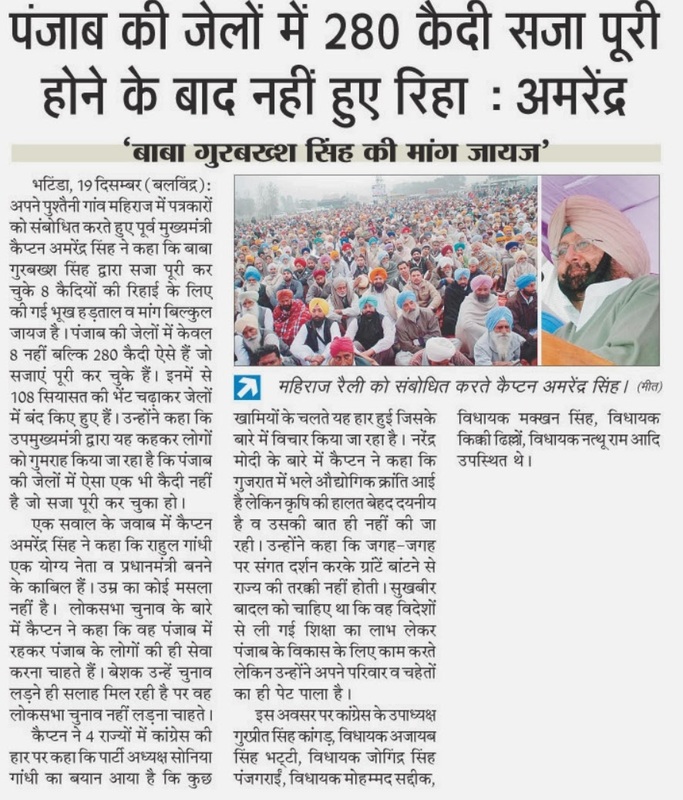 Though leaders owing loyalty to PPCC chief Partap Bajwa, including former MLA Harminder Jassi, a ticket aspirant for the Bathinda Lok Sabha seat, stayed away, a number of sitting and ex- MLAs from Bathinda, Faridkot and Muktsar were present at the rally. 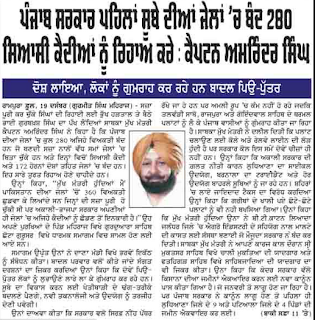 Sitting MLA Ajaib Bhatti drew Amarinder Singh’s attention to the plight of 40 persons in Rampura who had taken ill because of spray of pesticides. Claiming that at least seven affected persons had been killed, he said the CM had promised to give Rs 1 lakh each to the kin of the deceased and bear the expenses of those under treatment. But not a penny had been received so far. The family of the late Chief Minister Beant Singh today said it would not object to the release of Sikh detainees who had completed their jail term. “For us, peace in the state is most important,” said a family member. Ravneet Bittu, MP, Gurkirat Kotli, MLA, and Gurkanwal Kaur expressed anguish at the ‘inhuman’ treatment meted out to the detainees who have served their terms. Lakhwinder Singh, Gurmeet Singh and Shamsher Singh have been in jail for more than 18 years for their role in Beant Singh’s assassination. We also loud the gesture of Beant Singh family. 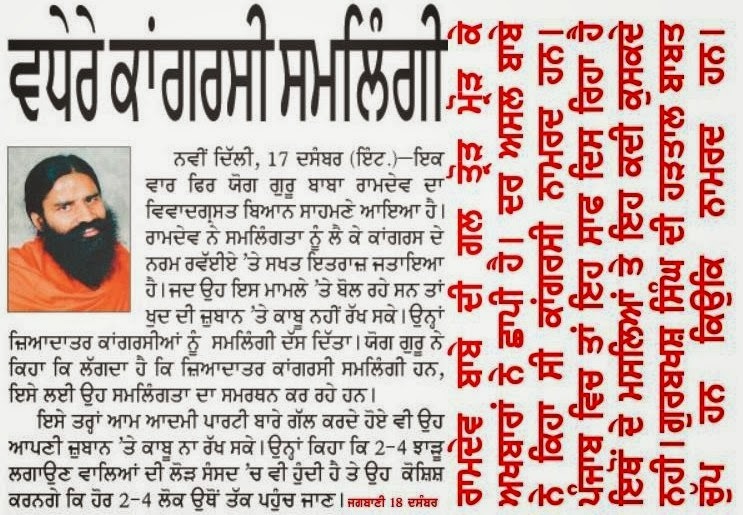 Read the statement of Gurkeerat Kotli grand son of Beant Singh.